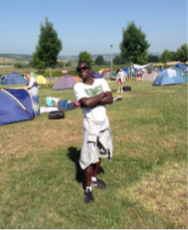 Initially, when I got to Taize, I loved the atmosphere; there were a lot of people. I was very excited as to see what the next 6 days would be like; we were given a warm welcome by one of the Brothers and we settled down. Then we went for breakfast and I was not happy with the food, and that made me question what the next few days would feel like. 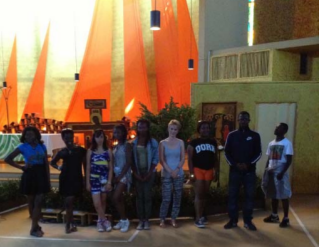 Before I went to Taize, I was a little bit nervous and unsure about the experiences I would have and the people, as I did not know them very well. Yet, by the second day, I realised how friendly and welcoming everyone was that we met. It was an amazing week, where I learnt a lot about my faith as well as myself as a person. I was reluctant at first to take part in some of the suggested activities such as the silent time but after taking a few chances, I realised how amazing these new experiences were! We met so many awesome people from lots of different countries and it was overwhelming to see how easy it was to communicate despite our different languages. The music in the church was not at all as boring as I expected but really opened up a new way to pray. Socially, it was great fun to meet so many new people and hangout with them at the Oyak bar in the evenings! It was awesome! The silence in prayer was the part of Taize that I was most doubtful about enjoying and I almost didn’t go because of it! I mean being quiet and going to church three times a day is no fun is it? But being in a room with 4000 people is an incredible experience and then when you manage to get all those people silent as well, that really is amazing. The silence unites people in a way that language can’t. 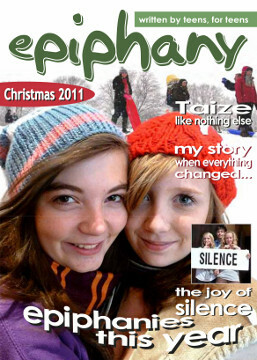 The quiet is also brilliant because when at home in the ‘real world’ where you have TV, internet and iPods, true silence is very hard to come by but it’s such a central part of the time Taize that it teaches you how useful it actually is. It gives you a chance to think about things that you might not do normally because things are too chaotic and loud and so you begin to understand yourself much better which is essential to having a happy life. 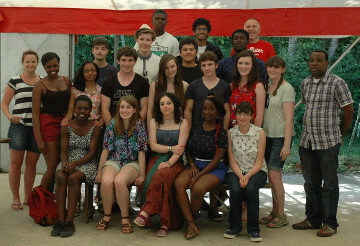 The simplicity of Taize life is very fascinating, despite all the awkward moments within your newly appointed group but with time we all become great friends even though we are all from different countries. It is amazing how people’s personality suddenly change when you enter the Church, everyone takes the services seriously and this is what makes the prayer so emotional, and you feel connected to God in many ways, more than you would at home! Oyak is an extreme comparison to the services, this is an experience where people truly enjoy themselves amongst other countries also familarise themselves in foreign music. 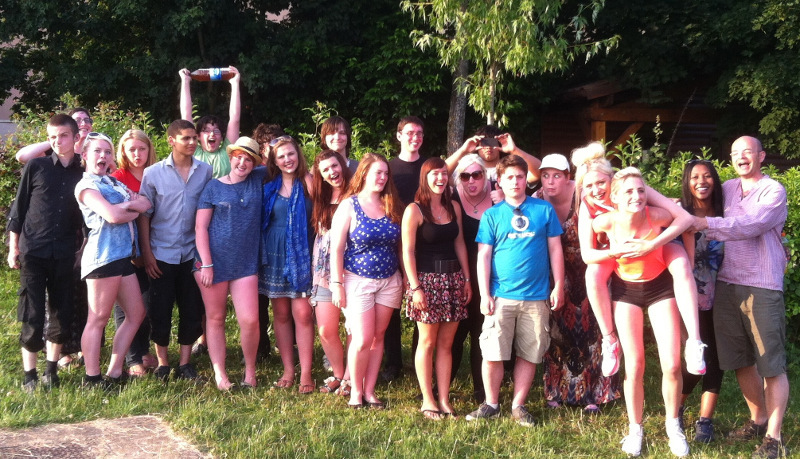 Life at Taizé flows like a river. The peace at the heart of the worship extends out into the regular life on site, and this means that everyone is much more happy, allowing many nationalities to walk together. 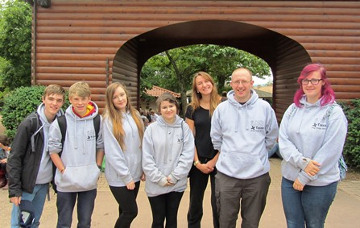 A group of 40 students and 6 staff from St Michael and All Angels Academy and St Saviour’s & St Olave’s School travelled together to France for a week from 7-15 July. The destination was Taizé, a Christian community in the middle of France that offers hospitality to young people and adults from all over the world and invites people to a deeper, simpler and more spiritual way of living. 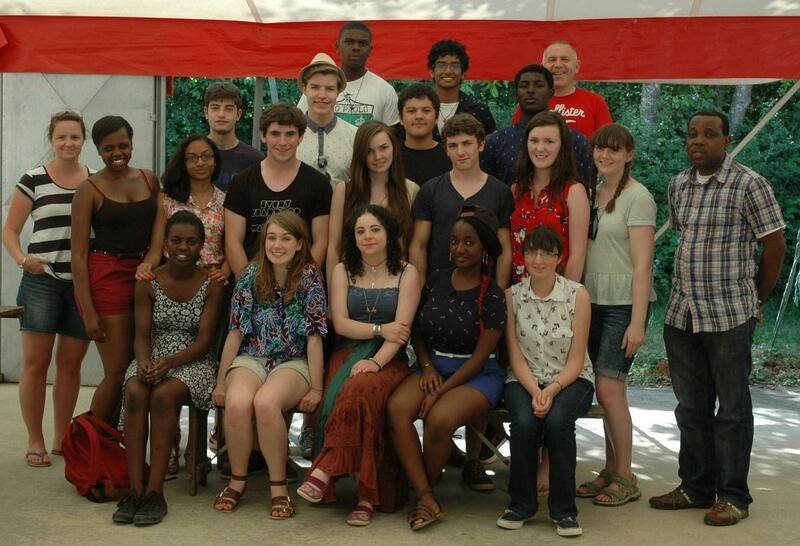 We were together with more than 3,000 other young people in the small village of Taizé. We were blessed with beautiful weather. 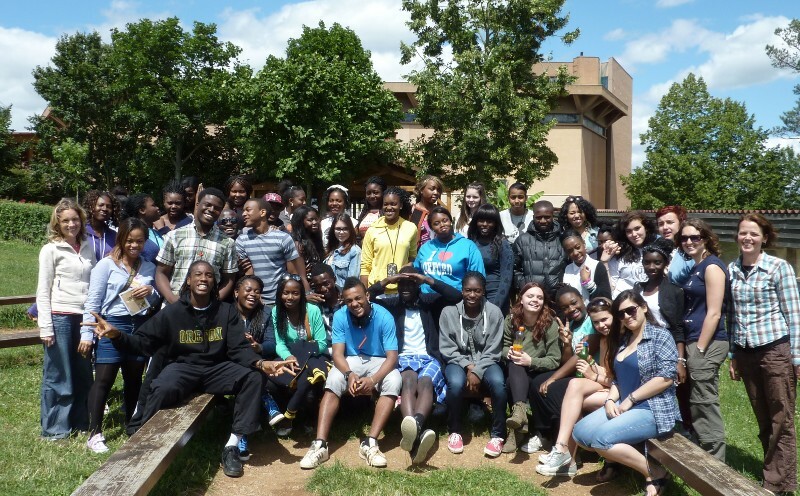 The days were structured with services, meals, small group meetings and social time. The young people, even though hard to be mobilised at times – (especially early in the morning! ), hugely profited from this structure and as the week went by took more and more responsibility for what they wanted to get out of the experience. As we were part of a community we were also asked to volunteer and help with cleaning. The students rose beautifully to this challenge. ‘I now know how to say hello in different languages’, ‘I have made new friends’, ‘there are different ways of worshipping God’, ‘the silence in church helped me to reflect on my life’,’ everyone was so friendly’, ‘I am now more open to God’,’ I would have liked to stay longer’, ‘the singing helped me to feel more calm and peaceful’. 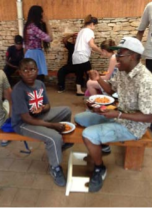 We asked the students what they would change about Taizé and most of them said, ‘the food’, which indeed was very simple but contained all that we need to live a good and healthy life. Sometimes we have to experience something different in order to appreciate what we take for granted in our lives. 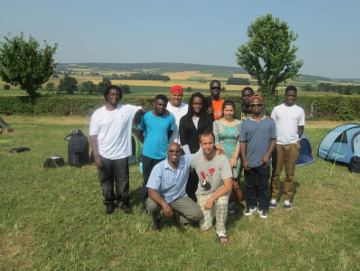 We thank God that we had a safe journey there and back and that all of us came home feeling inspired and enriched by this wonderful pilgrimage to Taizé. 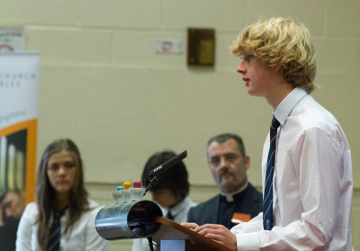 The boys who went on the schools trip last year took a slot in one of the Friday afternoon 6th form enrichment sessions a few weeks ago, to talk about their experience and to lead Bible studies in the style of Taizé. It was extraordinary. The RE teacher gave a short introduction and then the five boys each led a different group of eight other students, having chosen Matthew 25, the sheep and the goats, as their topic. As chaplain, I didn’t have to do anything: it was all happening from them. For three quarters of an hour, every member of our (small) 6th form was engaging fully in a shared Bible study. 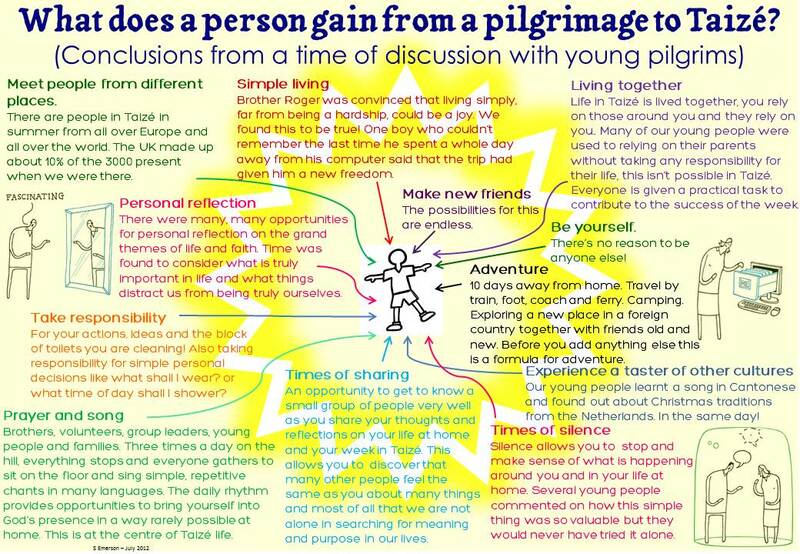 I think being in the groups at Taizé last year must have taught them a lot because they all facilitated their groups brilliantly (listening carefully to people, opening out discussions not shutting them down etc.). As a chaplain, I pretty much thought I’d died and gone to heaven. It was beautiful Christian education in action, and led from below not from above. Off the back of that session (yes, off the back of a well-led bible study!?!) we have loads of interest from the 6th formers for next year’s schools week. 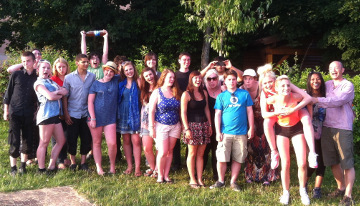 Their stay was full of experiences, new discoveries and thoughtfulness.